Keep all your favorite cosmetics products within easy reach ! one place using minimal space. protected, never spilled or lost. One universal storage container which can be linked together side by side. 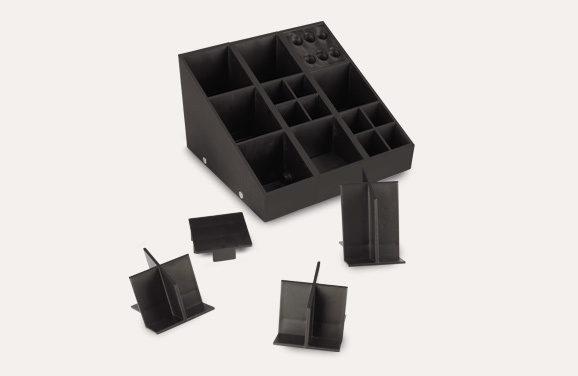 Four different models of product holders specially designed to store makeup and beauty accessories. 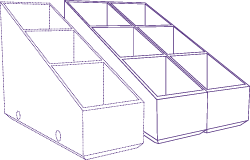 Three compartments to place product holders into the storage container. Scale your makeup organizer to strike the desired balance between your needs and wants in terms of capacity and relevant location. 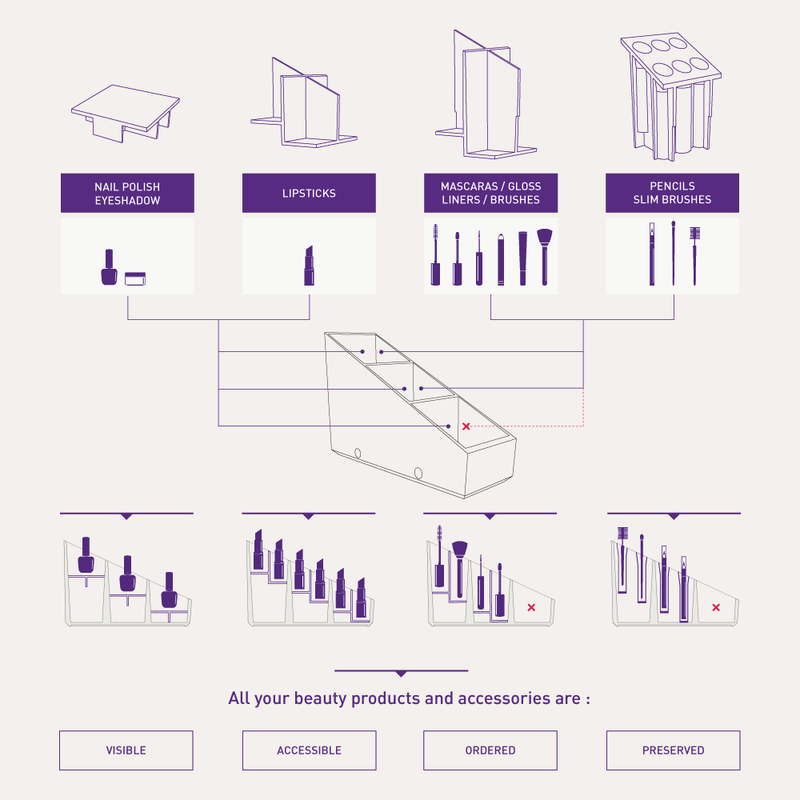 Select a range of makeup and beauty accessories to store based on your personal preferences. Assemble storage containers together easily. 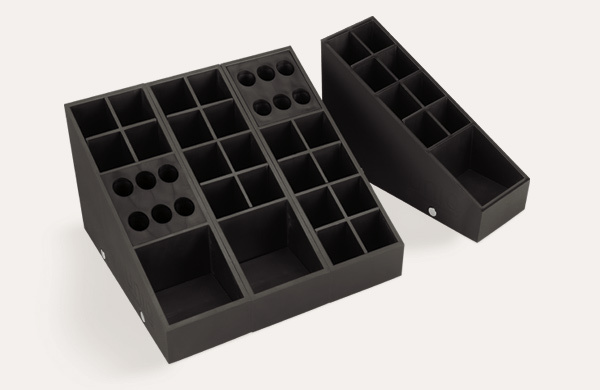 Arrange product holders and display all your makeup and beauty accessories as you like. According to your preferences : reorganize, transform and add units to your makeup storage. Combine your perfect makeup organizer. Please note : the cosmetics products illustrated in the storage container are for demonstration purposes only.